Last modified on August 17th, 2018 by Vincy. Using this library, we can set many options to handle validation, to enable file delete, pause, resume features, to allow chunking and more. 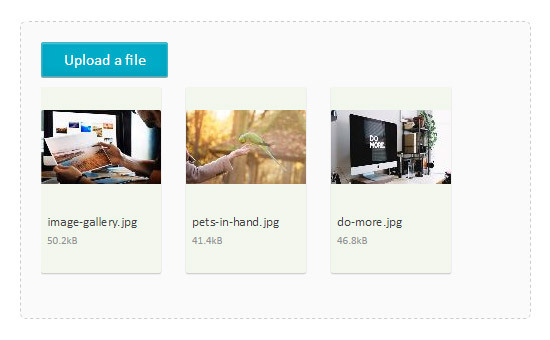 In this example, I used very little and basic options to specify the end point PHP file handling file upload and the file drop area id which is used to show preview. // Specify max file size in bytes. // If you want to use the chunking/resume feature, specify the folder to temporarily save parts. // Assumes you have a chunking.success.endpoint set to point here with a query parameter of "done". // To return a name used for uploaded file you can use the following line.